We know the snow on the ground doesn’t make it feel much like spring, however, in the office we’re aware of just how quickly we’re galloping towards summer! It’s all the fun stuff starting to happen like camp registrations and hiring new staff (with many returning Camp Counselors! We’re very excited about our great Crew this season!). If you’ve registered your camper for one (or more 😉 ) of our Eco Camp sessions then you’ll be getting a package of camp related information sent to you within the next month (including forms to fill out and send back!). If you haven’t registered yet … we still have a few spaces left but they’re filling pretty quickly. 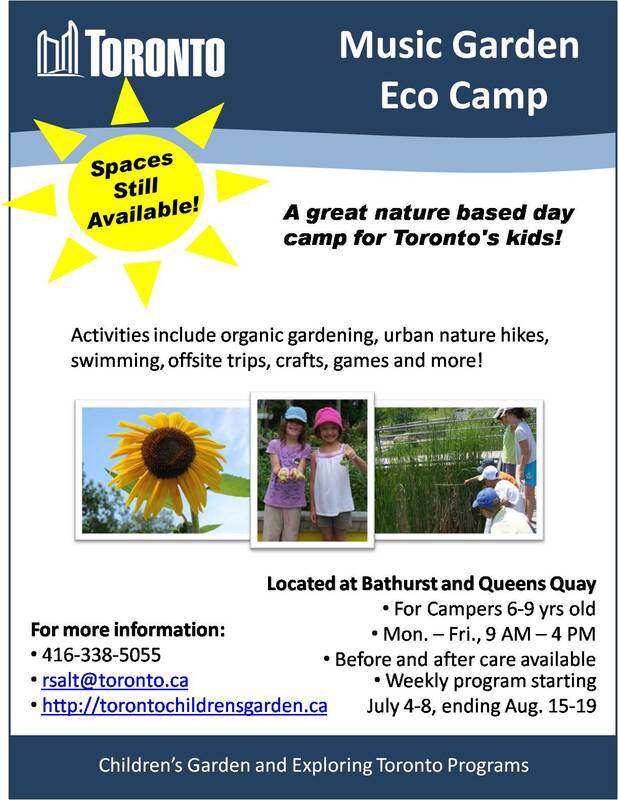 Click on Eco Camp Barcodes 2011 for a list of camp program barcodes and dates then call 416-338-4FUN to register or search the City’s FUN Guide website for more information … our Eco Camps are located at High Park and the Music Garden. Now if you’re wondering what happened to the Waterfront Eco Camp we ran last year … it’s still here! We’ve just had to change the name to Music Garden Eco Camp. Previous Post File This One Under: Slightly Gross But Totally Cool!